I don’t know her name. She is so bent over that I can’t really see what she looks like. I can’t stop thinking about this old wrinkled lady. I am spellbound. I am awe struck. Every Sunday without fail, bent over at 90 degrees from a painful back, barely able to keep her eyes from the floor to look ahead, she comes to the church alone. She walks snail-paced to the front of the church, gives her offering, walks back to the back of the church, and sits. I don’t know how much she puts in the offering basket, but from the way she is dressed and from how malnourished she looks, I wouldn’t have thought that it was much – not to the world anyway. She looked so poor that she seemed like she didn’t have anything. She looked like she had so little that you wonder how she actually managed to find something to give. 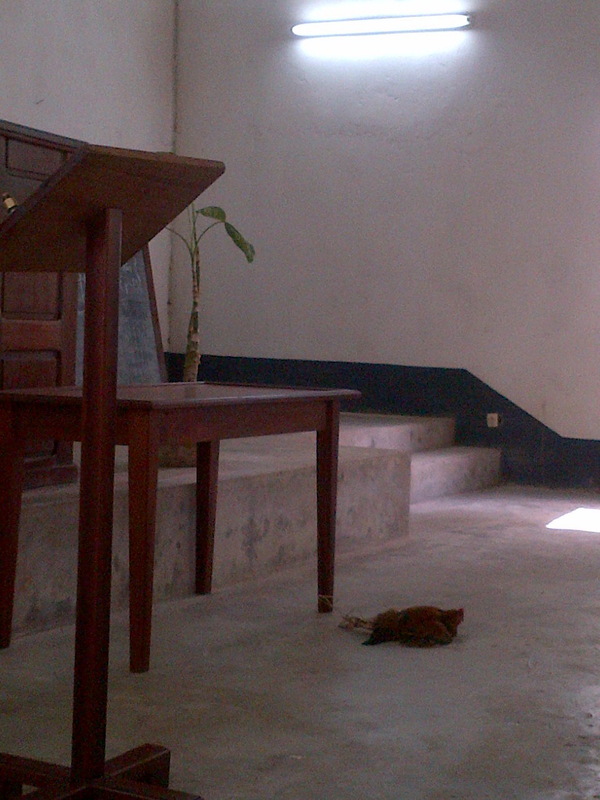 Last Sunday, she came in and brought a live rooster as an offering. Humbled. Inspired. She is the truly rich one. Lord, give me a heart like hers.